Elon Musk speaks at the Tesla Design Studio on April 30, 2015, in Hawthorne, California. SpaceX founder Elon Musk just said on Twitter that he wants to start a new media outlet. What's behind his posts? Is it just another Musk prank, or is he actually serious about the idea? "The holier-than-thou hypocrisy of big media companies who lay claim to the truth, but publish only enough to sugarcoat the lie, is why the public no longer respects them," Musk posted Wednesday (May 23) along with a link to a news story discussing negative media coverage of his electric car company, Tesla. Musk then wrote a series of tweets lamenting the state of journalism and vowing to do something about it. "Problem is," he said, "journos are under constant pressure to get max clicks & earn advertising dollars or get fired. Tricky situation, as Tesla doesn't advertise, but fossil fuel companies & gas/diesel car companies are among world's biggest advertisers." Musk said he plans to start up a new website for the public to rate "the core truth of any article" that would also track credibility scores for journalists, editors and publications. He said he may call it "Pravda," which was the name of the former Soviet Union Communist Party newspaper. "Pravda" means "truth" in Russian. "Even if some of the public doesn't care about the credibility score, the journalists, editors & publications will. It is how they define themselves," Musk said. He then created a Twitter poll asking readers if they would be in support of that or not. 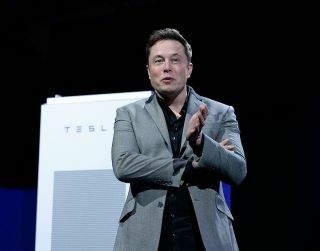 By the time the poll closed today (May 24), it had received more than 680,000 votes, with 88 percent of voters saying they would support Musk's proposal. Musk urged the media to promote the poll if "they didn't want Pravda to exist," then tweeted again, saying he may call the site "You're Right" instead. Musk does own the domain youreright.com, he added, but all it does now is point to Facebook News. "For some reason, this is the best I've felt in a while. Hope you're feeling good too," Musk added. Musk's comments, naturally, attracted attention on Twitter from everybody from journalists to Donald Trump Jr., the son of U.S. President Donald Trump. "One journalist retweeted Mr. Musk's comments with a link to a California filing for a business incorporated last October called Pravda Corp.," The Wall Street Journal added, "involving a person connected with other Musk ventures. 'Er, he's not kidding,' wrote journalist Mark Harris. Mr. Musk replied with a "hugging face" emoji.